Because it's been a while since I gave an update on what's going on in my writing life, I thought I'd give a synopsis of where I'm at. Granted I've been doing sneak peeks into the characters in Dirty Shirt, but that's not really anything about where I'm at in my writing life. I consider those and the other things I've been posting to Facebook to be "promotional things," not really a status of what's new for me as a writer. First and foremost, my book comes out in 39 days. This is both exciting and a tad overwhelming at the same time. If you think back to January when I first found out they were going to publish, recall that I could hardly sleep for the first few days because of all I had to do. Well, I am sleeping better, but there's still a boat-load of things to do. I'm knocking a few off each day, but it seems like every thing I check off, results in another thing added. The good news is I now have 5 book signings scheduled and a few more in the works. That's actually one of the bigger things I was worried about. The bad news is, I don't yet have one scheduled for the Twin Cities. I'm working on that as well as getting air time on the local TV show "Morning Blend." I am also pushing to get a slot on Lake Effect, a radio show broadcast out of WUWM in Milwaukee. So far the mass media outlets have been extremely difficult to contact. Don't make me pick up my phone. News from the publisher is that edits are in progress. They have remarked that my manuscript is very tight, thanks in very large part to a good friend, Summer Hanford who did what I would argue was close to a professional level edit of it, just because she wanted me to help me. I cannot thank her for assistance with that and many other things about first-time publishing. I gave her the book to read so she could write a back cover blurb, and in her reading she couldn't help herself from editing. It's a case of, "You know you're a writer, when..."
Cover art is slated for about May 27th, or so. I can hardly wait to see what it comes out to be, though I recently read a great article about whether cover art can make or break a book. The article had several authors critiquing their covers and sometimes they were brutally honest about hating their covers, and their publishers not bending. Hopefully I'll be happy with what they come up with and, more importantly, that they'll listen to my feedback. The whole book deal is all-friggin' consuming, and although it doesn't sound like it, I say that with a heart full of gratitude. It's all good stuff, just more details than I ever imagined would be part of selling a book. Good problems to have, no doubt, but I want to get back into books #2 (poetry collection) and #3 (Portland Ave. House book). I think of bones in Star Trek, "I'm a writer Jim, not a business man!" Meanwhile I continue to work on poetry. I've had acceptances every month this year and am continuing to churn out new stuff and submit faithfully. Those acceptances keep me thirsty for more. Plus, poetry collections tend to only get looks when a fair amount of them have been previously accepted. 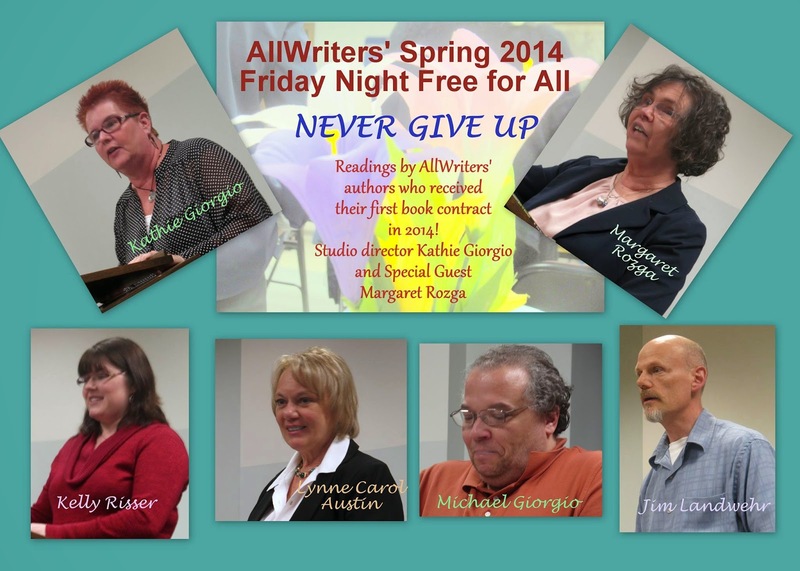 I made an appearance at a group reading for the AllWriters' Workplace and Workshop Friday Night Free For All Event last Friday. Despite the usual pre-reading jitters, I think I did okay. People seemed to enjoy the stories from Dirty Shirt that I read. 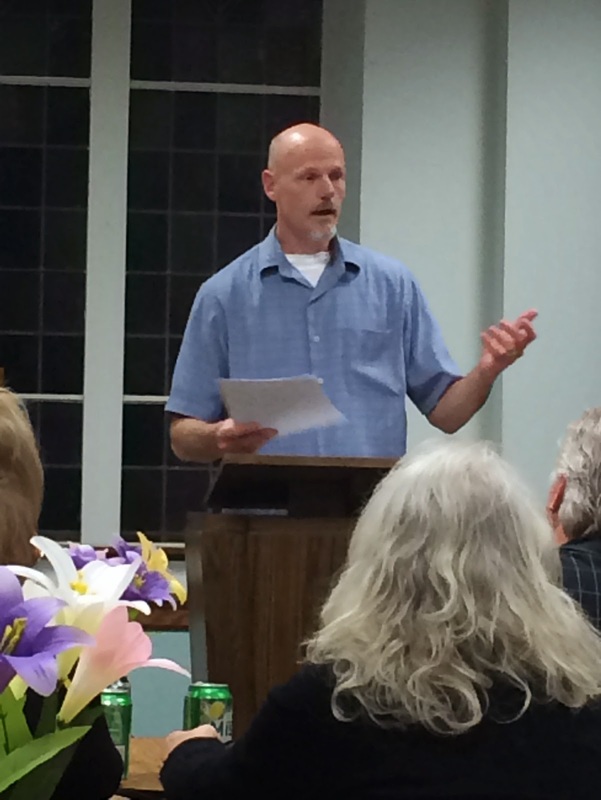 It was really cool to see friends in the audience and to be among so many other talented writers as well. I also continue to poke at book #3 periodically, when time permits. I feel like it's the last child in a family of seven and only gets attention when it falls and skins its knees. I'm probably a bad book parent. And finally again, I've been guest blogging for a friend who has a book series on a deaf child and a deaf dog. This is a good way to give both of us cross-exposure to each others' readers. I will typically be posting on Tuesday nights. These are stories about growing up with my deaf brother. Check it out HERE.